Location: 4th St @ Folsom in San Francisco, Ca Artist: Ador & Semor. Location: Brannan @ 3rd St in San Francisco, CA Artist: Ador and Semor. 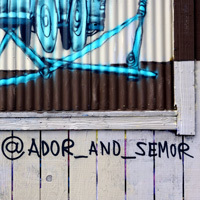 Location: Chinatown in San Francisco, Ca Artist: Ador and Semor. (French Artists) Photographer: Anonymous Contributor.